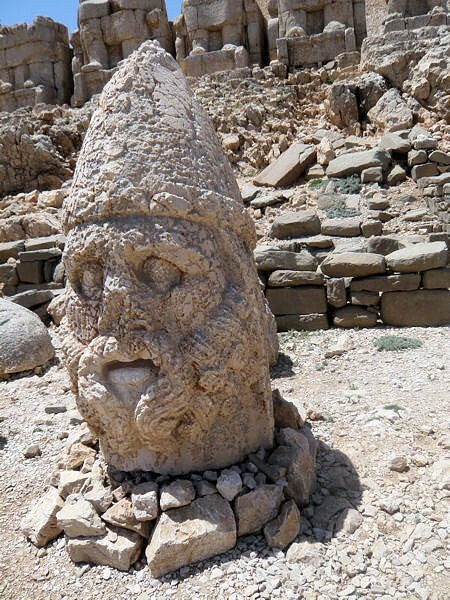 One of Turkey's fascinating ancient sights is the 1st-century-BC tomb/shrine of King Antiochus I of Commagene, on top of Mount Nemrut in south-central Turkey. 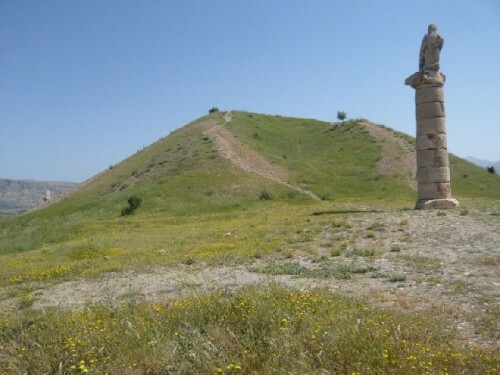 Antiochus I, who governed a small kingdom, believed that he was of divine descent, and ordered the construction of a great tumulus to immortalize him beside the gods. 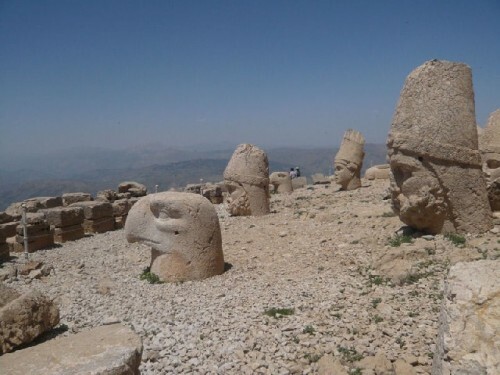 Colossal heads and crumbling statues of gods, animals and King Antiochus himself surround three sides of a 50-meter bare tumulus above the original 2100-meter mountain, now a national park. 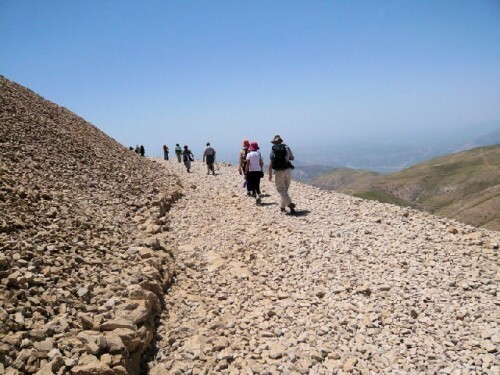 Mount Nemrut is northeast of Adiyaman, where we spent the night and stocked up on groceries for a picnic lunch to follow our ascent. Looking for a nearby bakery in the morning, we stopped at a village to ask for directions to get bread. Instead, we were offered several loaves of homemade bread by a family, who would not accept money in return. 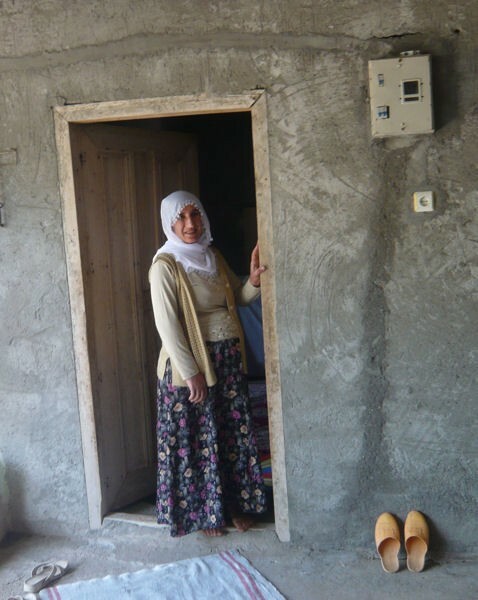 This Turkish generosity and friendliness was one of many instances we encountered throughout the trip. 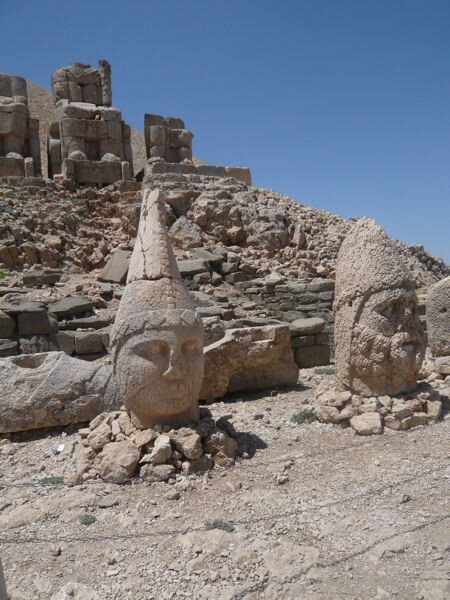 On our way to the mountain, we stopped at the Karakus tumulus, the memorial grave of the Comagene royal family; columns holding an eagle, a lion and a bull guarded its base. A walk near the Cendere River, across a Roman bridge built in 200AD, was yet another reminder of these ancient legendary lands. Marked by two tall columns at either end, the bridge straddled the river, called Chabnes during Roman times. According to an inscription it was built by the 16th Roman legion. 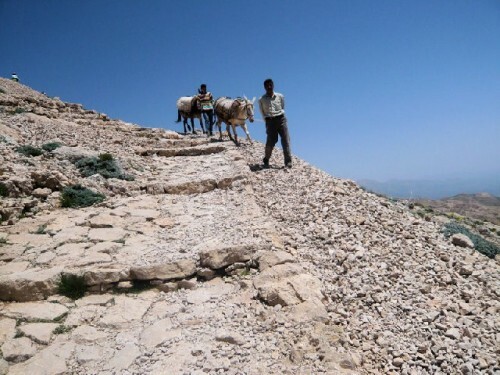 Dropped off by our bus at the entrance to Nemrut National Park, we started our gradual climb on a rocky path, trailing other hikers and donkey taxis. 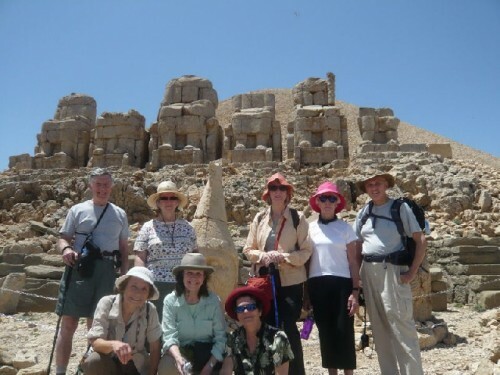 This was my second ascent of Mount Nemrut, the first about fifteen years earlier, braving the chill wind on the mountaintop to watch the dawn lighting the faces of the statues. Equally popular is the spectacle at sunset. 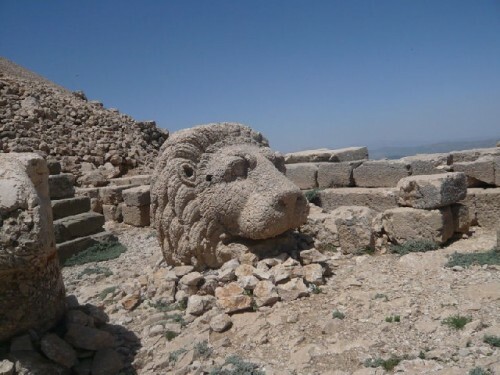 On the east terrace of the tumulus are 8-10-meter statues of gods, guarded by a lion and an eagle. The line-up includes Zeus, the sun gods Apollo and Mithras, and the god of war Heracles. On the west terrace Antiochus is shown in relief shaking hands with the gods. 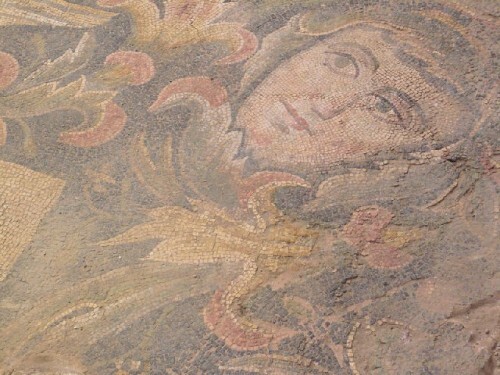 The head of Fortuna, goddess of good fortune, her hair depicted as wheat stalks, shares the terrace with other gods. 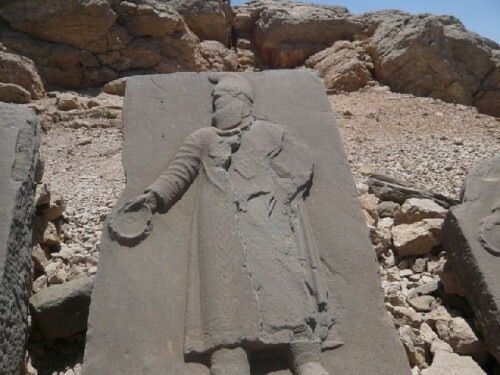 Unfortunately, the stone gods are now chained off, due to an increased number of visitors. Nevertheless, we managed a group photo with the seated gods as a backdrop and their broken heads nearby. Following a leisurely walk around both the east and west terraces, with sweeping views of the hillside, we descended to the cafÃ© at the entrance for our picnic lunch. Having worked up an appetite, we feasted on food purchased by our guide, Nedime, from our wish list, which included spicy Turkish sausages cooked for us at the cafÃ©. 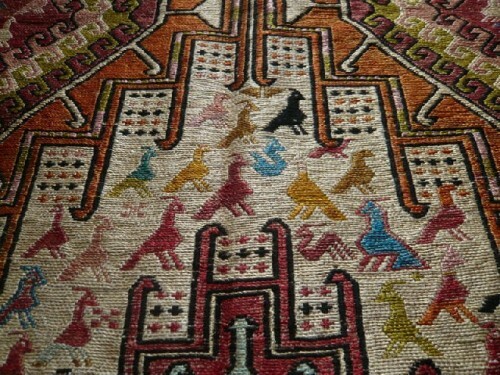 As we ate, my eyes wandered onto the walls, displaying the southeastern region's unique sumak carpets, which are embroidered with silk motifs after they are woven. Deferring such a purchase, I settled for a hand-embroidered red hat to add to my collection of gifts for friends. 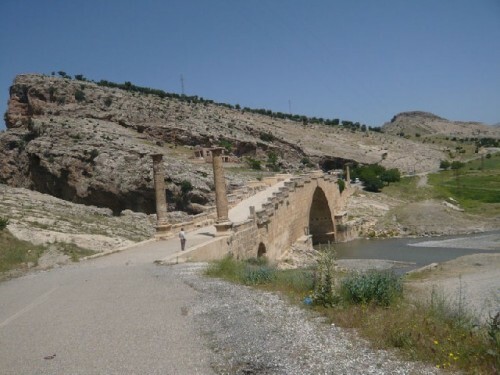 After lunch we headed south to catch the car ferry across the Euphrates to Siverek, where we connected to the highway to Urfa, our base for the next two nights. 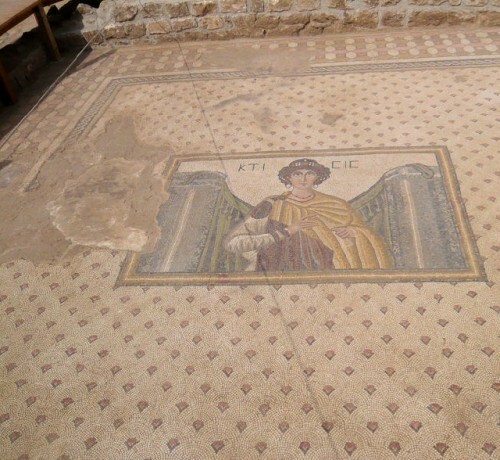 Urfa, or Edessa in Roman times, is one of Anatolia's oldest cities, dating back to 11,000 BC, in the Neolithic period. 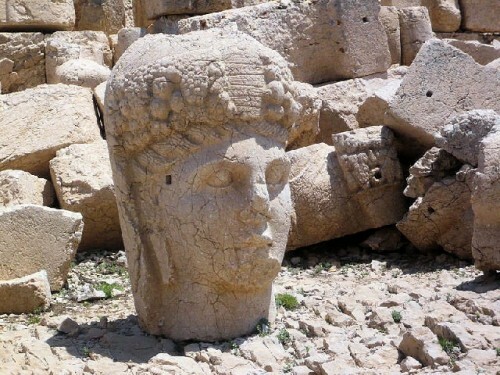 It is in the central Euphrates region, near the Syrian border. Known as a "museum city" because of its rich architectural heritage and skyline of varied minarets, it is also called the "City of Prophets". 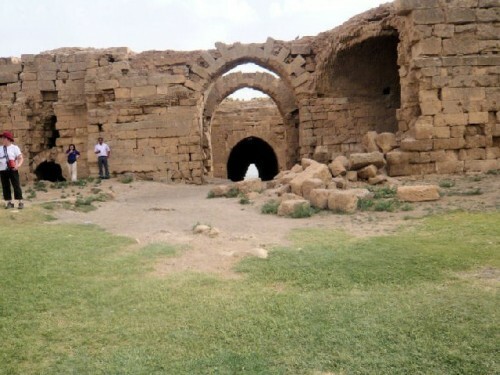 It is here that the prophets Jethro, Saint George and Hiob are said to have lived, and the city claims the distinction of being the birthplace of Abraham. 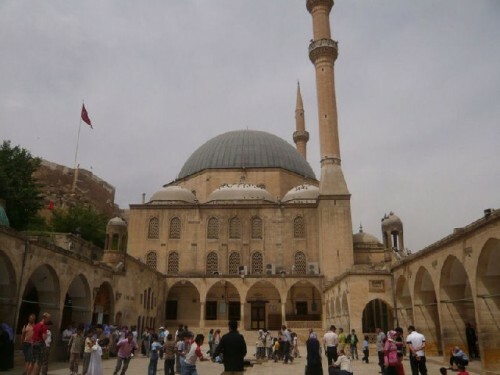 It is the fourth most sacred city in the world to Muslims after Mecca, Medina and Jerusalem. 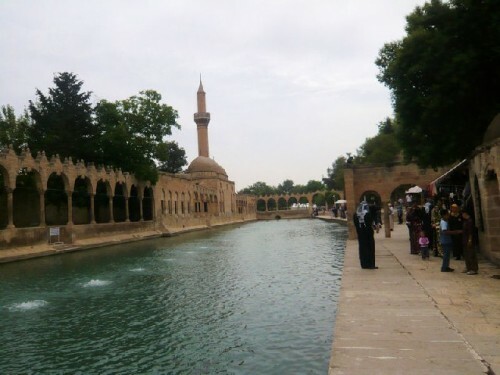 Urfa derives its culture from its layered history: Greek, Persian, Arami-Suryani and Ottoman. 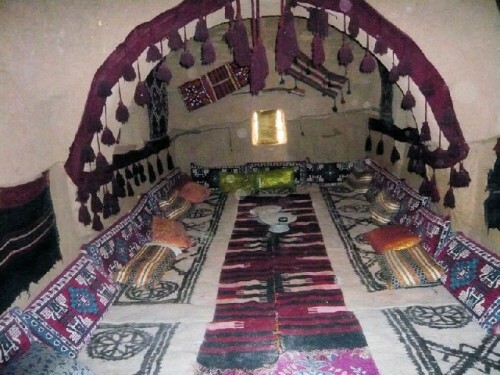 Due to its religious grounding and large ethnic populations of Arabs and Kurds, it is one of Turkey's most colorful, yet traditional communities. 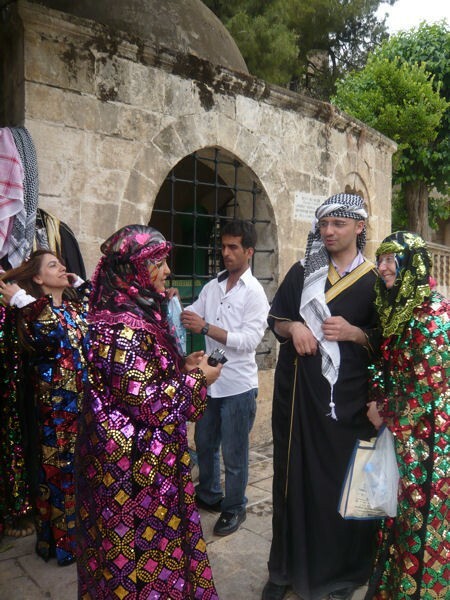 Typically, men wear baggy pants and blue head scarves, while women don long coats and distinctive Urfa scarves of light-weight silk, often blue and embroidered. 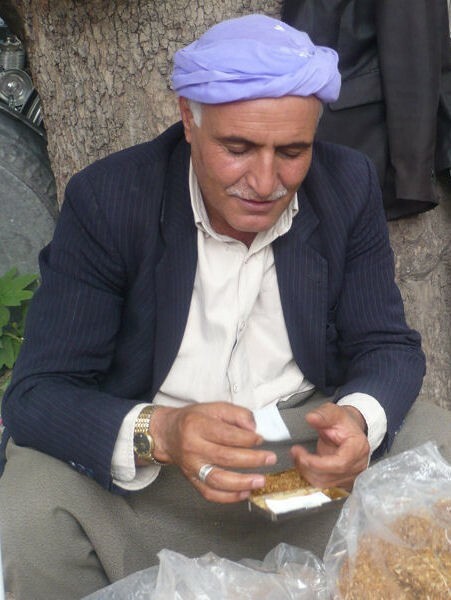 Men with blue scarves wrapped around sun-drenched faces, enjoying a dice game or rolling tobacco, and women, heads unified in blue and chatting while their children play, enrich the local color. Our hotel, El Ruha - named after the city's Arabic name, meaning "with plentiful water" - was centrally located in the old part of town. 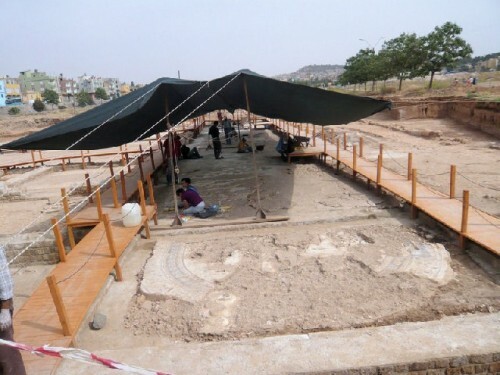 Across the street, a new Roman excavation, not yet open to public, was underway. A quick walk under the excavation canopy, providing shade from the 80-degree heat, allowed us a glimpse of the painstaking work such a dig requires. Mosaics, dormant for millennia, were being awakened by careful rising of the slabs, with pieces fitted together like a jigsaw puzzle. Their features, revealed under a fine haze of dirt, begged for deep cleansing. The historic landmarks of the old city are: a citadel with two late-Roman columns, Abraham's cave in the Mevlid-i Halil Mosque southeast of the pools, the 12th-century Ulu Cami ("Great Mosque") and the 13th- century religious complex of the Mosque of Halil ar-Rahman, which shimmers in one of the sacred pools associated with Abraham. Not far from the pools is the old bazaar, a place whose crowded streets, goods, methods of manufacture and ways of bargaining have not changed since Ottoman times. 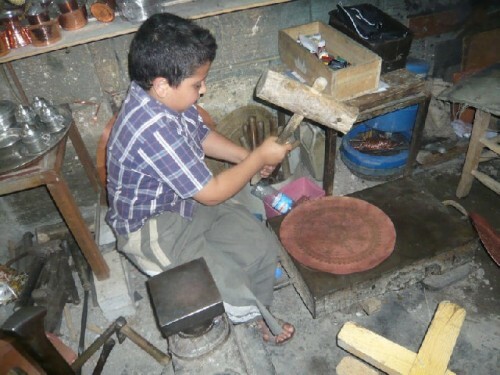 Trades are passed on from fathers to sons, who become apprentices at a young age. 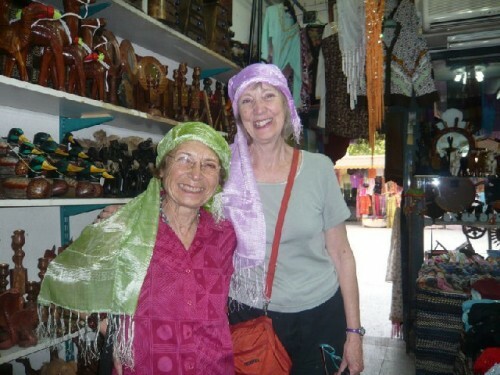 Our pre-trip group of eight split up to enjoy the different sections of the bazaar. 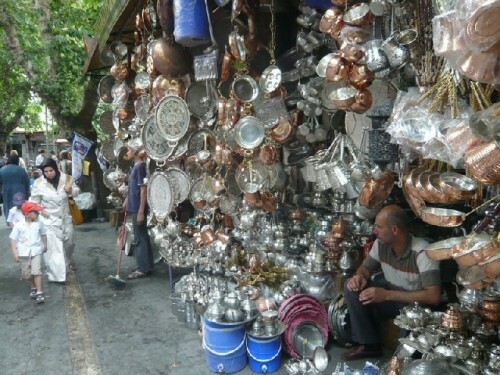 Gayle and I walked through the alley of coppersmiths and watched them hammer thin sheets of copper into ewers, pitchers, mugs and fanciful trays. The objects to be used with food are tin-plated afterwards. The textile section, with vibrant colors and swirls, many imported from Syria, was a feast for the eyes. The alley with small shops stacked to the ceiling with carpets was the most enticing. We enjoyed tea in thin-bellied clear glasses, while shop-keepers unrolled their inventory to please. After some bargaining, I settled on a sumak carpet for my Istanbul apartment. Its diamond patterns alternate with fields of colorful little birds embroidered in silk. 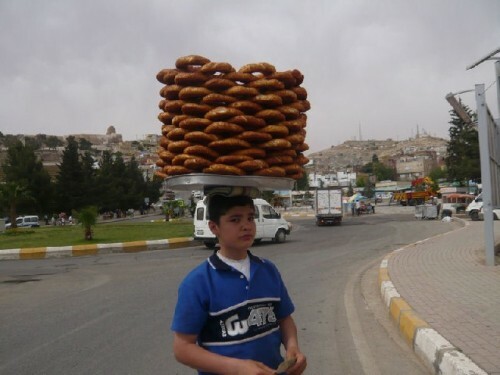 Urfa's local flair extends to its food as well. The famed red peppers come in different strengths and are sold as isot in specialty shops. Urfa kebab consists of skewered, isot flavored meatballs with tomatoes, sliced onions and hot peppers. Yogurt is a main staple of various dishes, and sillik is a favored pastry made with walnuts. 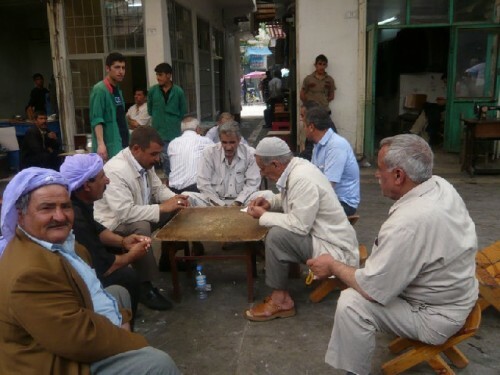 Harran, a small town in the south, within Urfa province, was a highlight of the pre-trip. 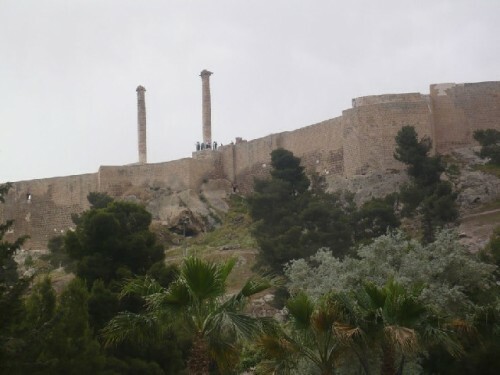 Our visit began with a tour of its13th-century-AD fortress, surrounded by walls with five gates. Other distinguishing features of the old town include a cluster of beehive-shaped houses and the ruins of a temple-university complex. 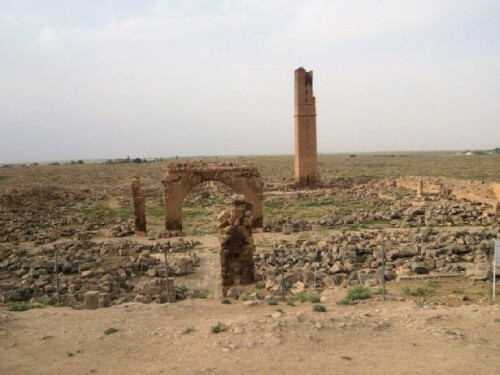 A prosperous Assyrian city on the crossroads of Mesopotamian commerce in ancient times, Harran was home to the world's first university. 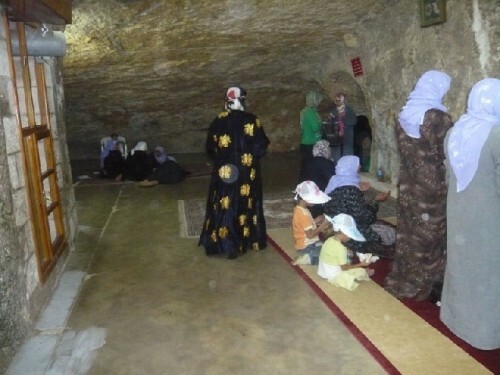 It is considered an important site for Judaism, Christianity and Islam, as it is thought to have been Abraham's home when he heard God's call. 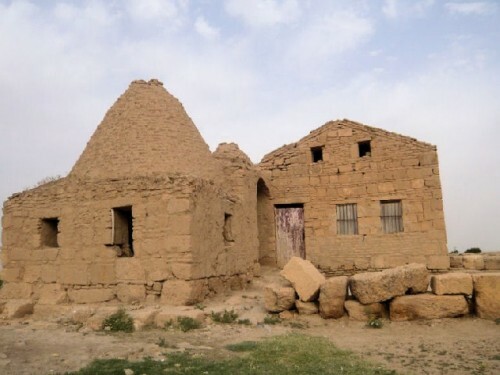 The unique architectural style of red-brick Harran houses with dome roofs has been the answer to the steppe climate of the area since the time of the Hurrians. 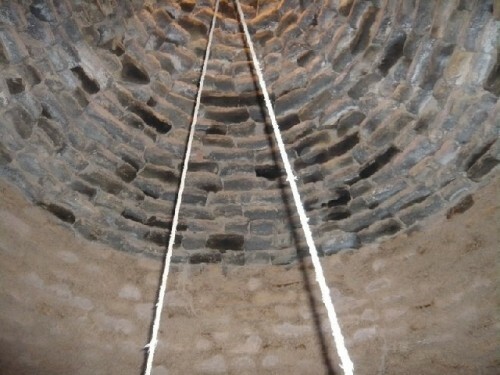 Conical structures built in units of two, three, four or six connect to one another through interior arches. They remain cool in the summer and retain heat in the winter. Built by their owners on square lots, they were occupied until 1985, and now are used for storing food or hay. 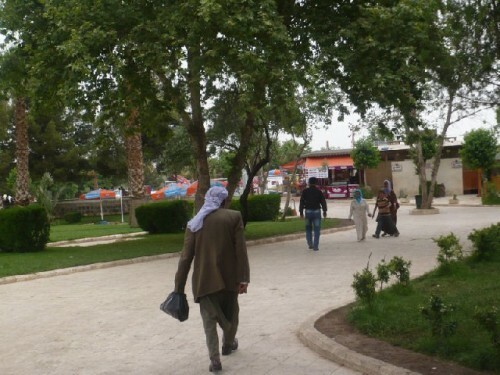 Residents have moved to the new Harran within viewing distance of the old one, to contemporary housing near the new dam. The Cultural Center, which occupies nineteen of the conical units, has restored and furnished them in keeping with their traditional style. The Center is owned and managed by an Arab family, who hosted us for dinner. After touring some of the units, we settled in an outdoor canopy on stilts. Seated on floor cushions, with a backdrop of ancient ruins, we enjoyed a delicious meal: stir-fried free-range chicken, vegetable stew, bulgur pilaf, salad with pomegranate vinegar, and home made bread, accompanied by sour cherry juice. Our hostess, whom we never met, had prepared all the food in her kitchen in the new town and sent it over to feed our group of ten, including our guide and driver. Our host, the father of fourteen children and sixteen grandchildren, was very proud of the size of his family. We met most of his children, who were not away on military duty. 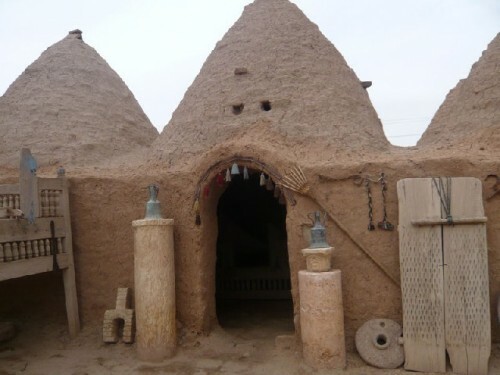 Boys helped run the cultural compound, including guiding tours; girls helped their mother with household chores and took care of younger siblings. 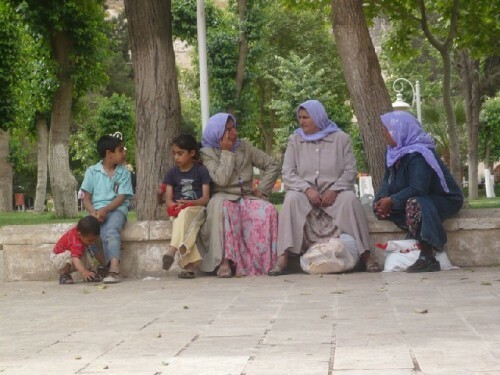 The family, who had migrated from Iraq several generations ago, spoke Arabic among themselves. The Cultural Center was founded on their inherited property. 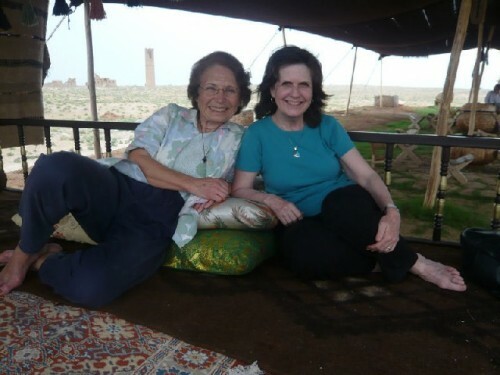 My first visit to Harran had been about fifteen years earlier. The old town had not been completely deserted then. There had been much visible poverty, with barefoot children begging for pencils. Therefore, I was pleased to see the progress made since my previous visit. All children, including girls, attended school, compulsory through eight years of primary education; and most went on to high school in the new Harran. Children, instead of begging, sold their own crafts to earn pocket money for their weekly allowance. I bought several uzerlik from two girls. This is a hanging, good-luck object for the house. It is made of seeds, which look like small chick peas. Girls string the seeds, alternating them with ribbons or bits of colorful cloth. The following morning, when we arrived at Urfa airport, we found out that our flight was unable to land due to sand storms from Syria. Turkish airlines transported us to Gaziantep, where we connected to our Istanbul flight. In anticipation of the main trip, we boarded the plane, looking forward to further glorious adventures.